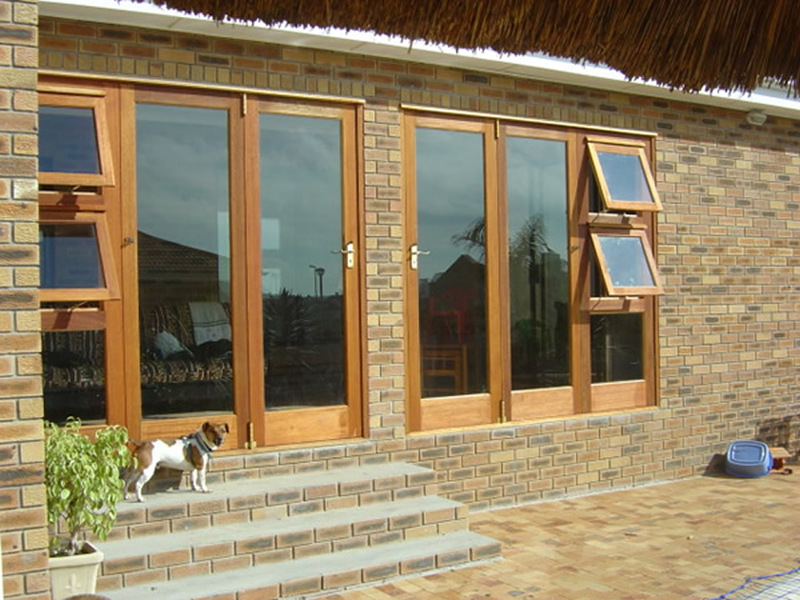 A WindowDoor™ is a door and a window in one, and is the perfect solution for areas that require ventilation. 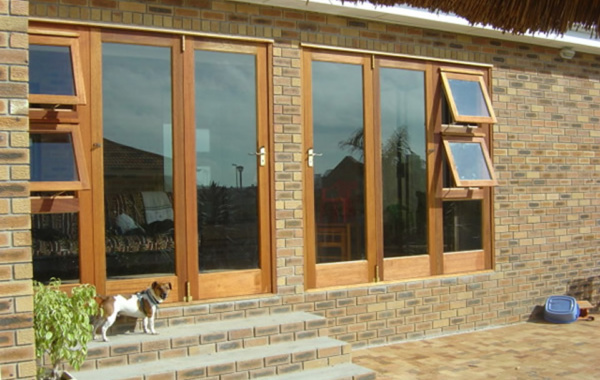 WindowDoor™ is available as single, double or folding door units. Tops and bottoms are interchangeable. Windows can be either side or top-hung. Custom built units are also available on request. Window handles are available in either brass or aluminium finish. Burglar bars are available as an optional extra. 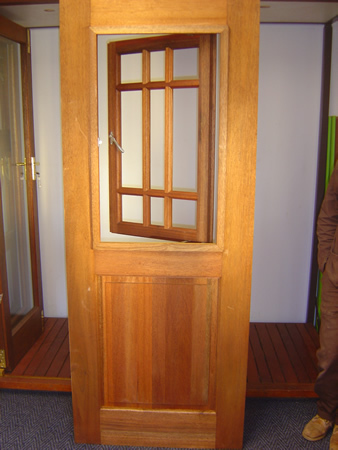 Single door with a side-hung window, glass bottom panel. Stiles are 140 x 44mm. 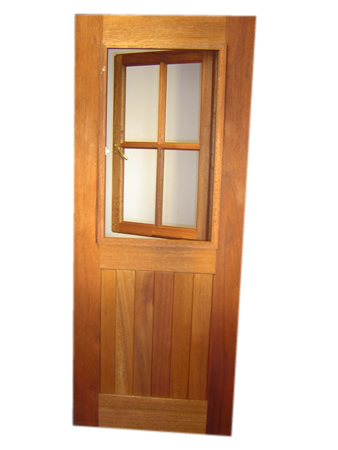 Single door with a side-hung window, solid raised and fielded bottom panel. Stiles are 140 x 44mm. 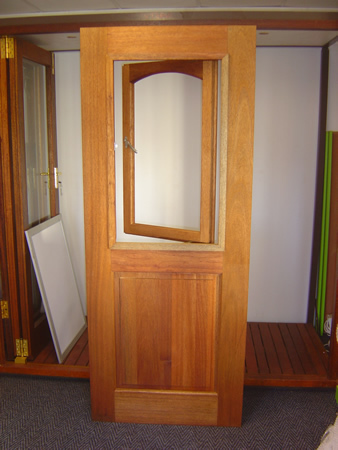 Single door with a top-hung window, solid raised and fielded bottom panel. Stiles are 105 x 44mm. Single door with a side-hung window, arched top and raised and fielded panel at bottom. Stiles are 140 x 44mm. 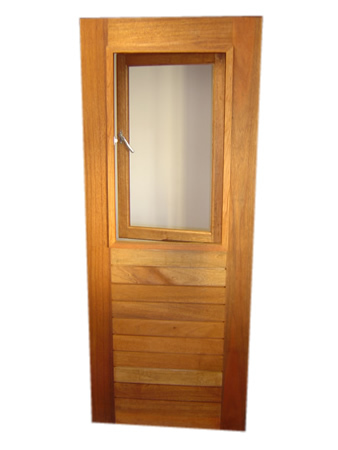 Single door with a side-hung window, vertical slatted bottom panel. Stiles are 140 x 44mm. Single door with a side-hung window, horizontal slatted bottom panel. Stiles are 140 x 44mm. Single door with a side-hung window, cottage pane. Stiles are 140 x 44mm. Single door with a side-hung window, happy style. Stiles are 140 x 44mm. 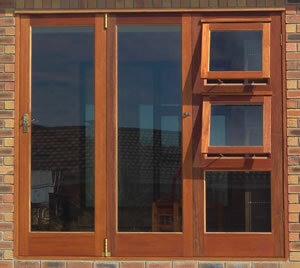 Double door with side-hung windows, solid raised and fielded bottom panels. Stiles are 140 x 44mm. 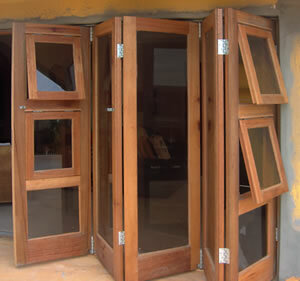 Double door with top-hung windows, solid raised and fielded bottom panels. Stiles are 105 x 44mm.